You have just found the holy grail of easy side dishes. 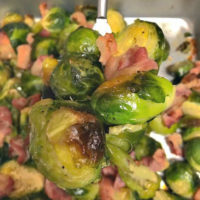 These honey bacon roasted Brussels sprouts are coated in honey and roasted with bacon. Let me show you how to make them. The kids and I went to Texas for spring break this year. We were able to spend a week with my parents, which was awesome. They just moved into a new house with a pool and a fancy kitchen. While the kids were swimming all day, I was cooking all the food on their gas range. I guess you can say you’ve reached adult status when you get excited about ovens. I don’t like wearing real pants but I sure do love to cook on expensive appliances. These Brussels sprouts are the product of two things – my love for cooking on my parents new range and two packages of Brussels sprouts in the fridge. Unbeknownst to me, my parents already had a package of sprouts in the fridge when we got there. I bought another bag for the week without asking. We ended up with 2 bags and a need to cook one ASAP. 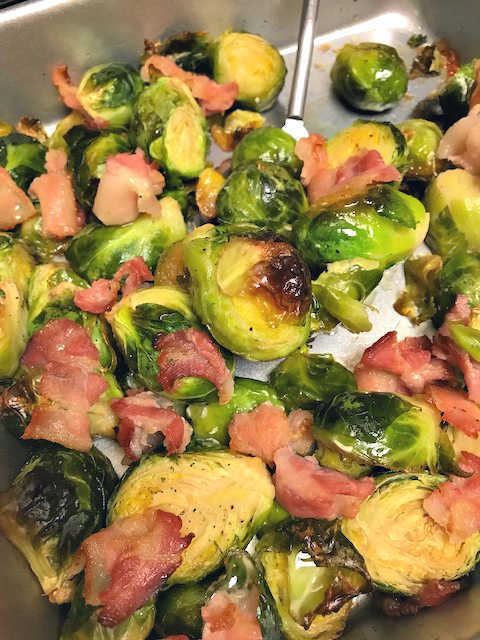 Honey bacon Brussels sprouts are exactly what they sound like – sprouts coated in honey and spices and baked along side spices of bacon. The result is the most amazing side dish that is ready in under 30 minutes. This side dish is also gluten free and Paleo. Yup. There are only 4 ingredients in this easy side dish. Let’s break them down real quick. You will need a pound of Brussels sprouts for this recipe. Slice them lengthwise before adding them to your baking dish. 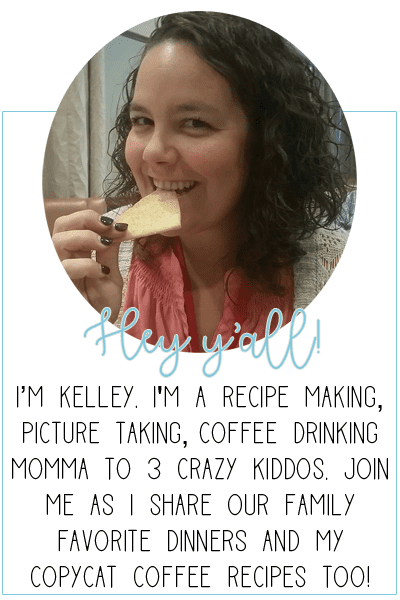 You can also easily double this recipe for a crowd as well. The olive oil is used for two things – to grease the pan a bit and to help the spices stick to the Brussels sprouts. You don’t need much, only 2 tablespoons. You can also use vegetable or canola oil. I kept the spices pretty basic here. I only used natures seasoning which is a spice blend that consists of garlic, salt, pepper, onion and celery. It’s my go to spice. Feel free to use the recommended spices or customize it to your taste. Any type of honey will work in this recipe. I love using local honey whenever possible, but any regular store bought honey will do. Bacon. You can use any kind of bacon you like. 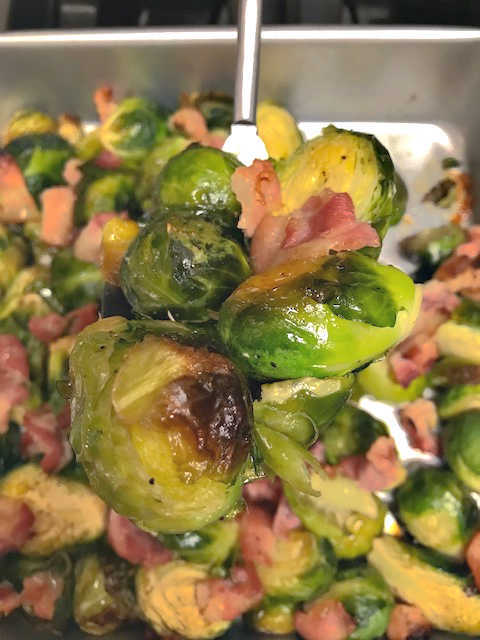 I tend to lean towards a thick cut bacon, but any type of bacon is the right kind of bacon when it comes to these Brussels sprouts. Start by slicing the Brussels sprouts lengthwise, removing the bony stem at the bottom as well. Place the sprouts in your baking dish and pour in the olive oil. Using your hands or a fork, toss the sprouts in the oil until completely coated. Sprinkle on your spices and toss once more. Next you want to slice your bacon into one inch strips. Place the bacon in the baking dish with the Brussels sprouts. Bake, uncovered for 30 minutes. These baked Brussels sprouts are the holy grail of side dishes! Covered in honey and roasted along side bacon, what's not to like?! Place the sliced Brussels sprouts in your baking dish. Drizzle with oil olive and toss to coat. Sprinkle your spices on top and toss again. Drizzle the honey over the Brussels sprouts and toss to coat one final time. 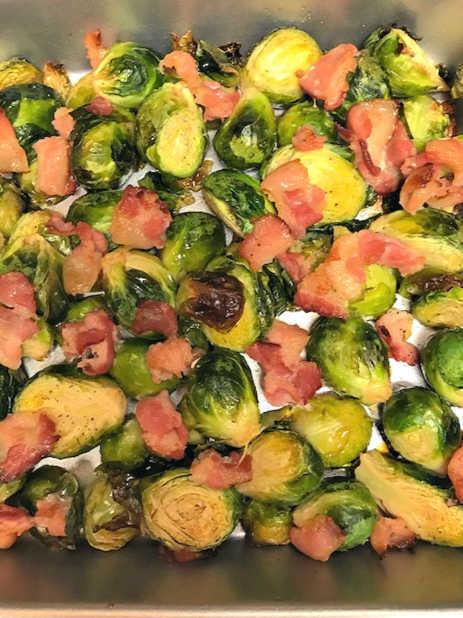 Slice your bacon into 1 inch strips and place them in the baking dish with the Brussels sprouts. Bake for 30 minutes, uncovered or until the Brussels sprout edges start to brown and the center is fork tender.